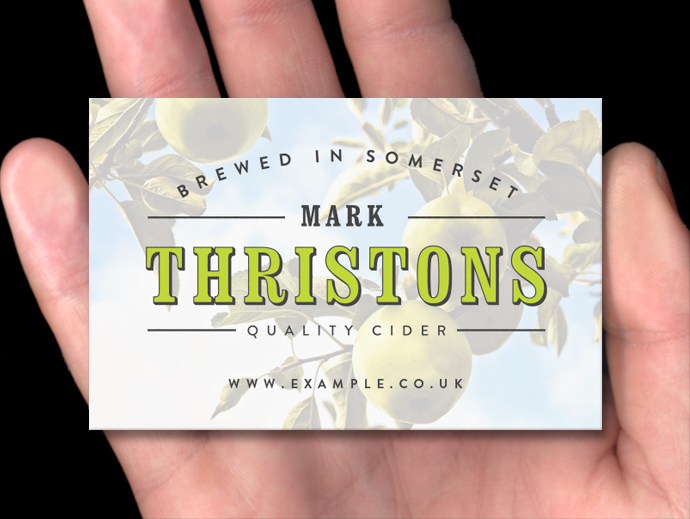 We exclusively designed this logo to compliment Mark's cider bottles as part of our free design service. The logo has then been digitally printed on our 400gsm ultra white stock. We applied a thin layer of matt finish plastic to the front and back surfaces. This matt lamination gives the card a unique texture while offering protection against discolouration and fading.